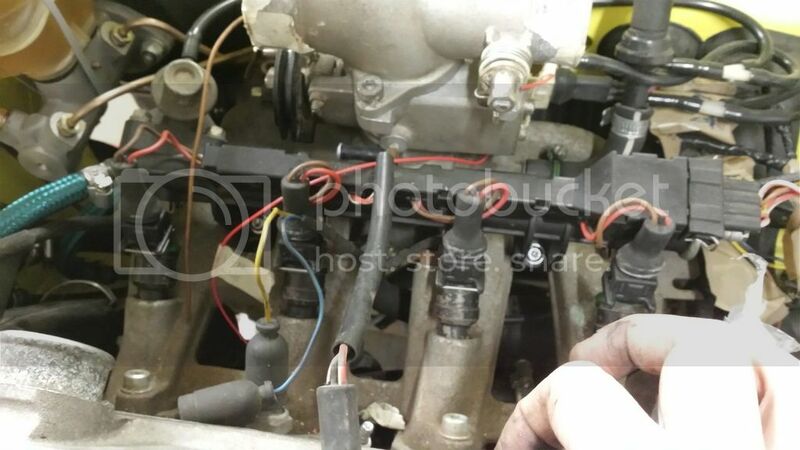 Also, am I right in that the main 6mm power lead for the starter motor comes out around that point of the loom, (wrapped with a couple of other things - oil pressure sensors if memory serves from looking yesterday) and goes to the starter first then carries on around the sump to the Alternator? Looking at the HAYNES manual and what I can see of the loom that's the deal but I'd like to be sure. This one's probably a face-palm question, but there's the main M6 positive on the starter, the exciter (red/black) and another terminal too (so two male lucar type terminals as well as the main M6 power feed) - what's the second lucar for? Brain fade. Thanks guys - nearly there now.....! As far as I remember the starter wiring is on the engine bay loom, not the engine loom. Should be a thick red wire and a thin blue wire that plugs into the loom coming from the alternator. 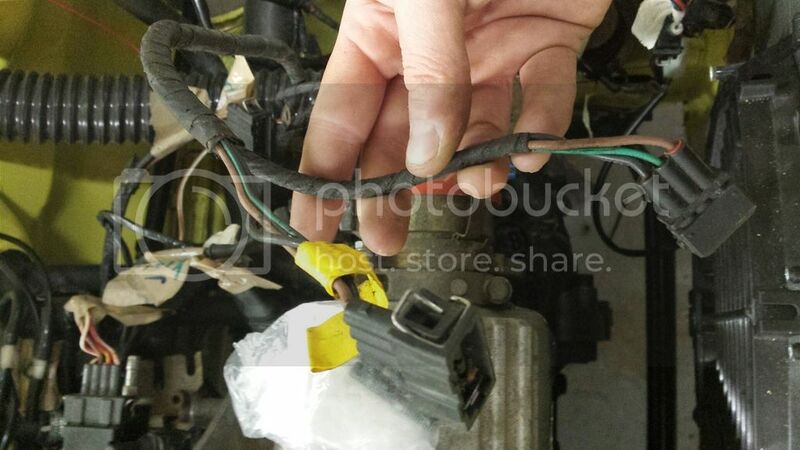 The loom from the alternator should have the spade connector on it for the starter as well as the one that bolts to the starter positive feed and also the plug I mentioned. 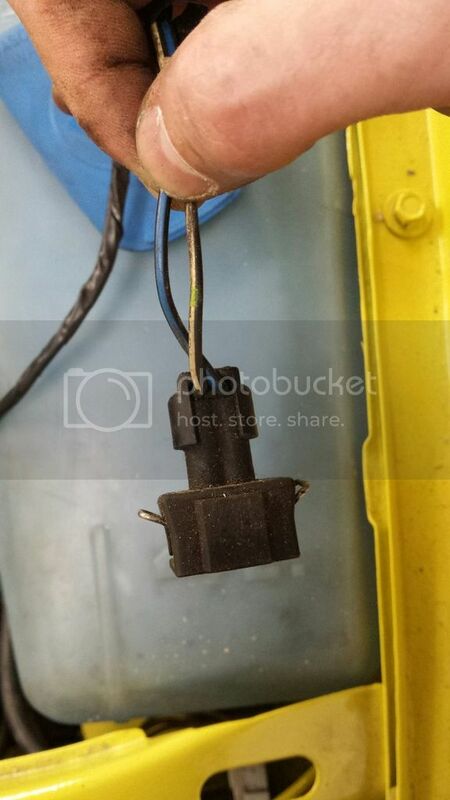 As for the two plugs in the picture the one with the yellow tag is the coil and the other plug goes into the headlight loom. Usually sits on a bracket bolted to the coil. Ahh lights - that figures. I'll have another look at the starter/alt wiring - still not quite getting it. As the old saying goes - it's me, not you! The above information is great, but on the loom in my car the headlamp wiring seems integral with the loom - there is no OE connector for a headlamp 'loom'. Excuse the blurred picture - this is coming out of the loom where all the headlamp wiring comes out. The headlamps are already plugged in - so what is this for? This plug is coming out of the fuel rail loom between injectors 2 & 3. What's it for? Where does it plug in? Again, coming out of the same part of the loom as the plug before is this. Same question - what's it for / where does it plug in? Sorry about all these questions. I'm putting a Mk2f CL loom with a G40 Engine loom into a Mk1. The manual doesnt tell you how to do that haha! First: thought that one connected the 2 looms together by the coil pack. second and third comments - awesome thanks, that makes sense. first comment - in fairness, it's the same shape plug as the one coming off the coil spur, but one of the colours is different so I discounted it. Think the central red is green on the other one. Will double check tomorrow. Not worries, as Kwijibo says the green and red are both ends to the coil spur, central wire is a different colour but runs fine on my G.
P.s could the wires be different colours because only 1 piece of the loom is G40 specific? 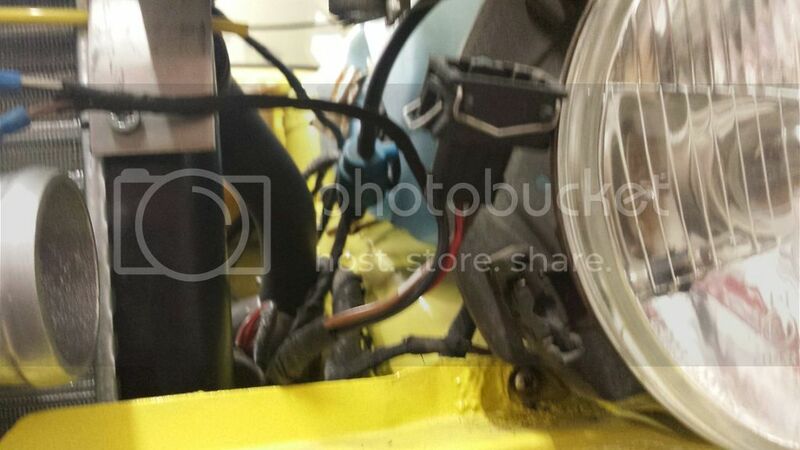 Single blue and yellow are oil pressure sensors, one fits into a tee piece that also feeds the charger oil supply.